Your driveway is the entranceway to your home, it makes a statement on the condition of your property. 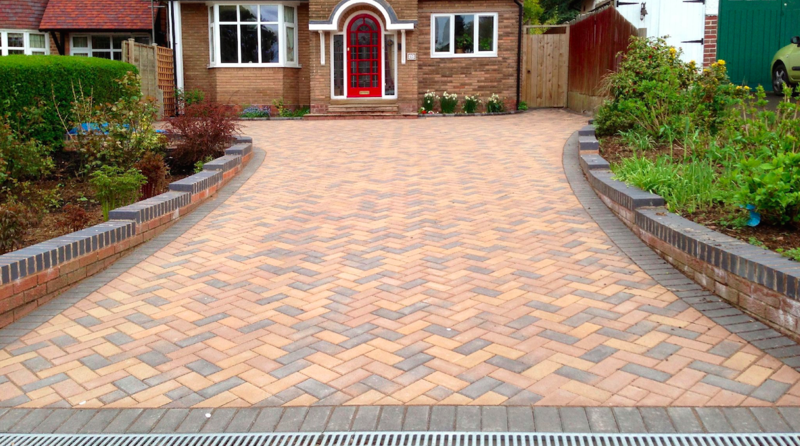 A clean & tidy driveway can really boost your property’s appearance and kerb appeal. However at some point it will begin to look uncared for and neglected. The Yorkshire climate, road salting, mud on the road can all conspire to leaving your driveway looking uncared for. Domestic pressure washers can achieve good results if used very frequently, but are usually incredibly time consuming when used to tackle a job of any reasonable size. Whatever the condition whether just routine annual maintenance, a much needed restoration clean, or even a preparation clean for a house sale, we will bring new life back in to your drive and deliver an almost 'as good as new' look. 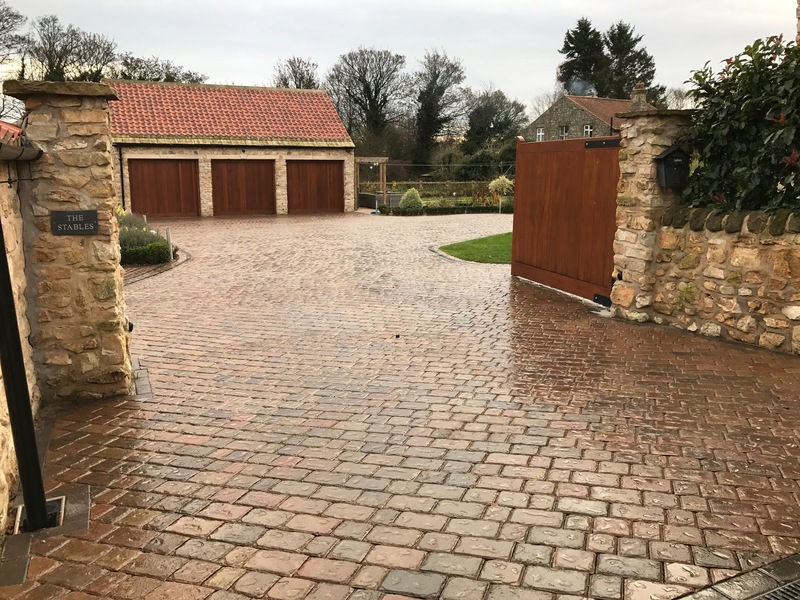 For those who want to really enhance and protect the appearance of their driveway we offer a 'Clean, Sand, Seal' Service. Garden patios provide a fantastic place to entertain and relax outside. However Moss and Algae will grow in paving joints and eventually on paving surfaces if allowed to become sufficiently established. Suitable wet conditions along with surrounding natural environments and non existent walking contact will allow Moss and Algae to become unsightly and a potential slip risk area. 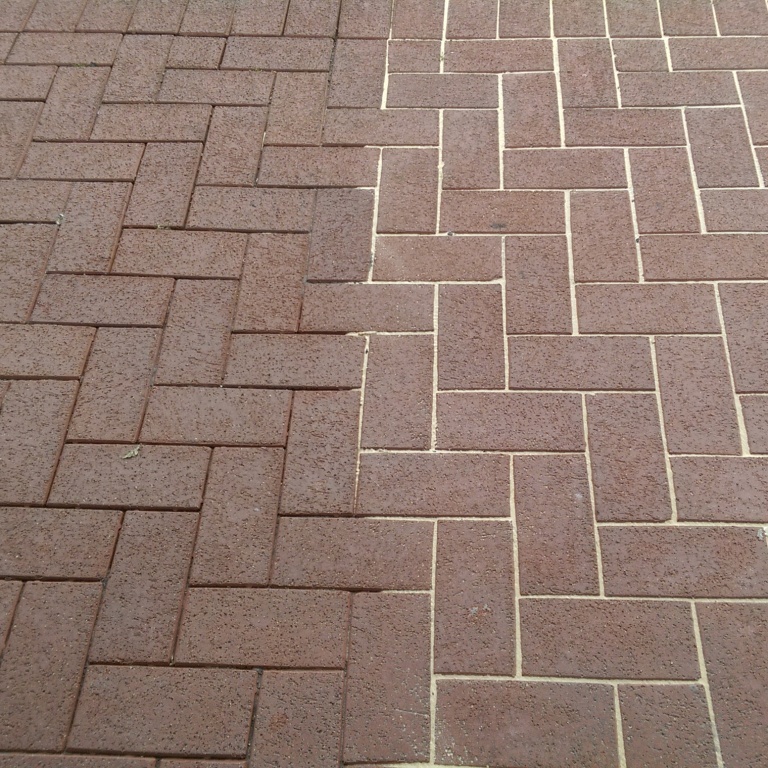 Pressure washing is a great way to rejuvenate these areas and make them look new again. Common patio surfaces such as concrete or natural flagstones, lock-block or imprinted concrete can be dramatically improved as our photos demonstrate... here. 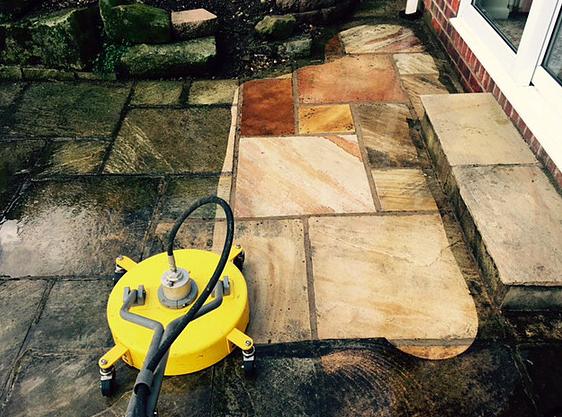 Our professional pressure washing equipment can easily tackle the removal of Moss & Algae however will not permanently prevent it. Our specially developed Biocide treatment will control this problem. Decking is seen more and more these days in many gardens across South Yorkshire. This demand for decking has been fuelled in part by gardening and home improvement shows on TV that use decked areas as design enhancements to improve and change the layout of a garden. Although when newly installed they look amazing, unforntualty decked areas soon deteriorate in the damp UK climate. 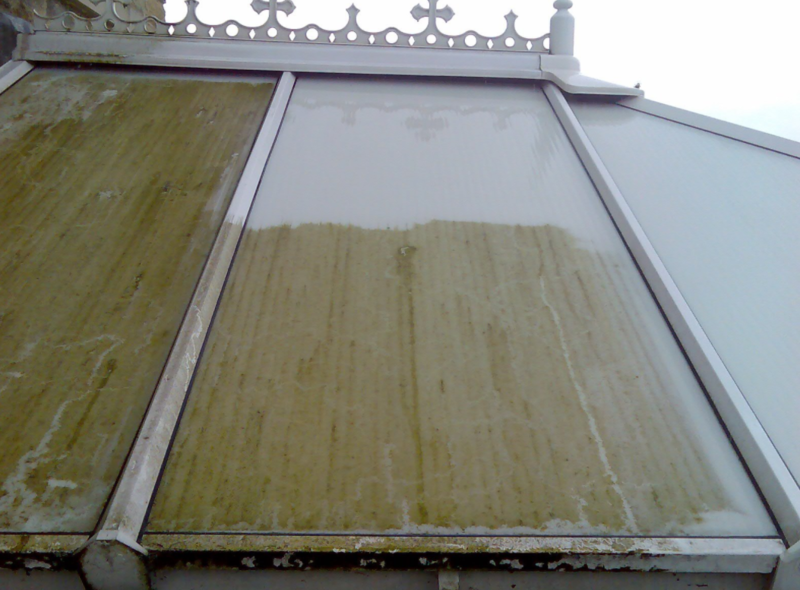 Green algae and moss in particular make maintenance a problem for many homeowners. If the surface is not kept free from algae and other forms of surface growth, the wood can become dangerous to walk on at times. 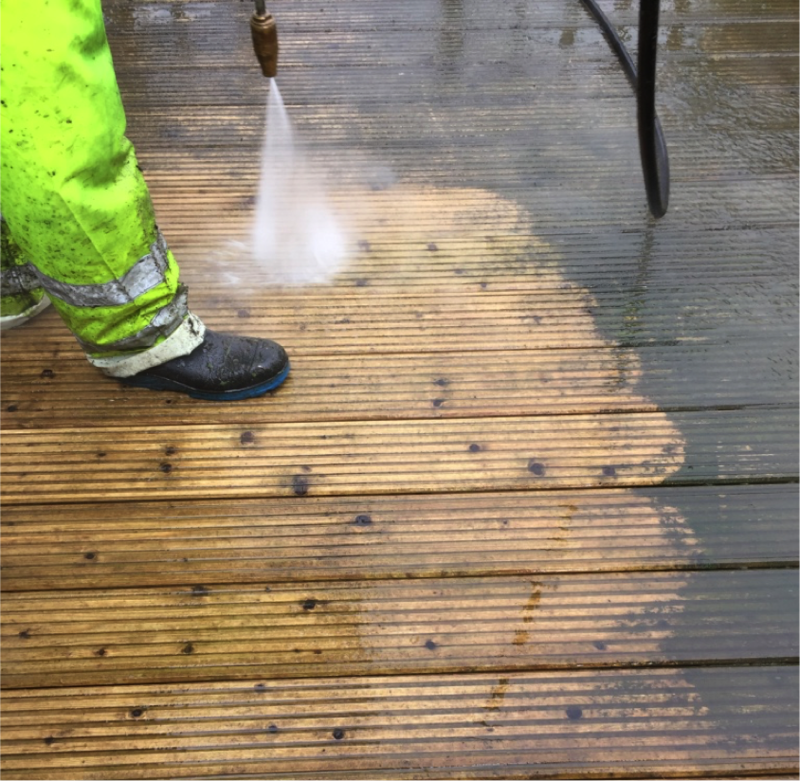 Domestic pressure washers will often mark the surface of the decking as the water jet is too concentrated in one area. The marks can be almost impossible to remove once they've formed. Fortunately, our pressure rotary based washers have special attachments that enables the wood to be cleaned without causing any damage to the surface. Moss and Algae will grow in paving joints and eventually on paving surfaces if allowed to become sufficiently established. Suitable wet conditions along with surrounding natural environments and non existent walking contact will allow Moss and Algae to become unsightly and a potential slip risk area. Our specially developed Biocide treatment will control this problem. 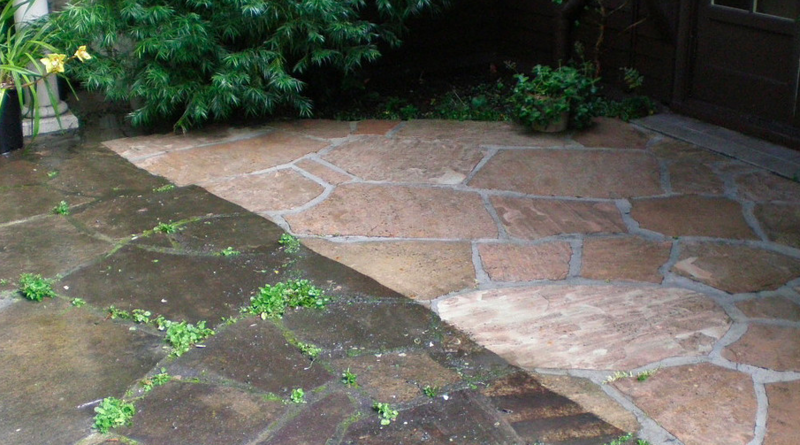 All jointed paving will lose sand overtime due to weather conditions and general usage. Re-Sanding is available, but despite the popular myth, to maintain sand depth to the top of the joint is not absolutely essential for paving stability. However Re-Sanding will enhance the finished appearance. Re-Sanding after cleaning is available if required and is purely a personal option. Once your surfaces are back to good as new you may want to protect them to prevent staining and weathering from becoming deeply established. Our (eco friendly) protection once applied will invisibly impregnate the surface and provide years of protection without any change in appearance. Conservatories look beautiful immediately after installation. But in reality, they will weather & start to look old without any reasonable level of maintenance. Your conservatory can be cleaned to restore it to a well maintained appearance along with some preventative methods to maintain its look. Gutters are often a VERY overlooked yet integral part of any buildings weatherproofing & waterproofing system. They allow the safe run-off of water from the building, protecting the external surfaces and foundations from water damage. 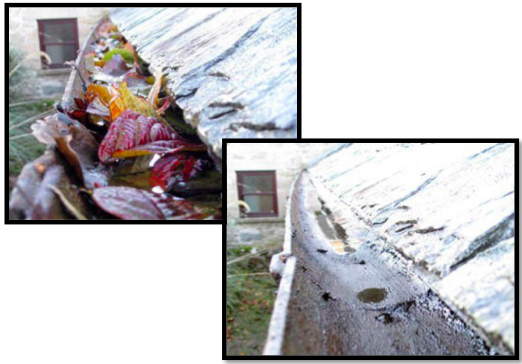 A blocked gutter can cause a host of problems. Debris and water blocked in the gutter can be so heavy that the gutter is pulled away from the building fascia. Backed-up water can cause leaks inside the property and staining on the internal surface. Regular cleaning easily prevents these issues. Don’t put your property at risk by ignoring such a quick & simple cleaning task. Don’t put yourself at risk by scaling ladders. Let us do the hard & dirty work for you!! 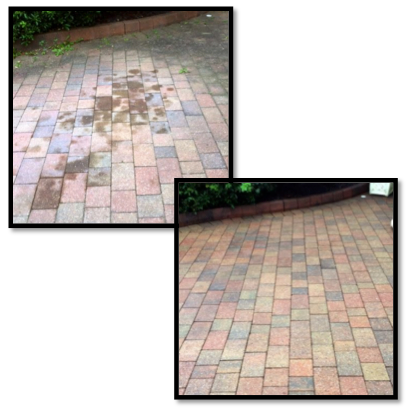 Oil stains on driveways are an extremely common occurrence and can be very unsightly as well as creating a severe slip hazard (especially with the British weather). If dealt with quickly most oil can be removed, HOWEVER the longer the oil is left, the harder it is to remove. We have a special process for dealing with oil spillages that we have spent MANY years perfecting. Although we do still advise you take action ASAP.